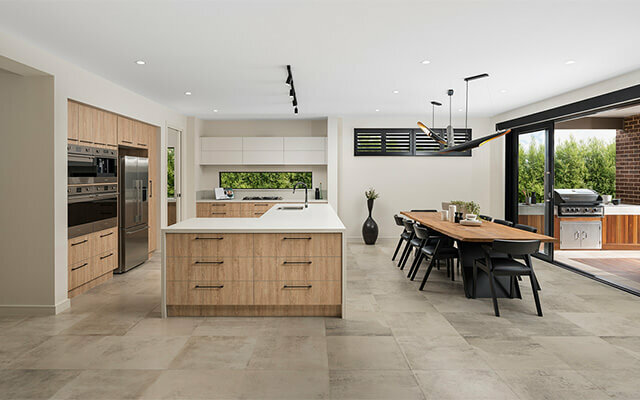 Elegant and light-filled, the new Balmoral 503 Park display at Berwick Waters estate in Clyde North is a must-see for large families planning to build their ‘forever’ home. Upon entering the beautiful display’s entry, it’s impossible not to be impressed by the stunning stacked timber feature wall with its striking black lacquered finish. An expansive floorplan, combined with sophisticated interiors, make the Balmoral 503 the perfect home for families needing lots of space, whether it be for entertaining, growing children or extended family. The beautiful display comprises five bedrooms, all with walk-in robes and ensuites. 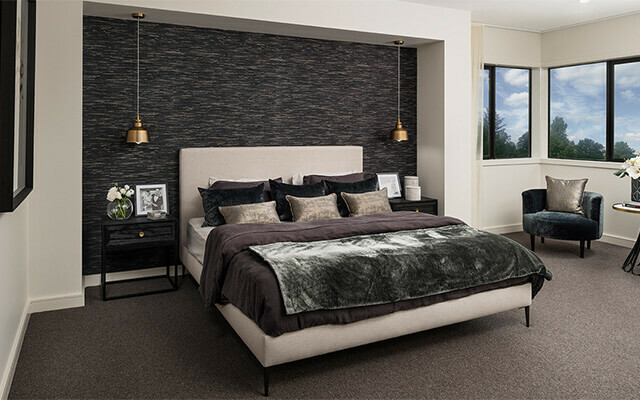 A design decision to situate the guest suite, or fifth bedroom, on the ground floor offers families the flexibility to comfortably accommodate visitors, or elderly parents when the time comes. Three separate living areas and a spacious alfresco easily meet entertaining needs and there is a even a study just off the entrance, perfect for residents who work from home. The display’s interior colour palette is very up-to-date; the combination of light greys with natural textures and wood tones ensures the overall look is timeless. A stand-out feature is the stunning Victorian Ash timber staircase with glass balustrade, which features open risers to draw light from the spacious upstairs retreat area through to the open foyer below. Black accents repeated throughout the display successfully create a cohesive interior scheme. These features include ultra-modern light fittings with brass on black finishes, black door hardware and tapware and arresting black plantation shutters. 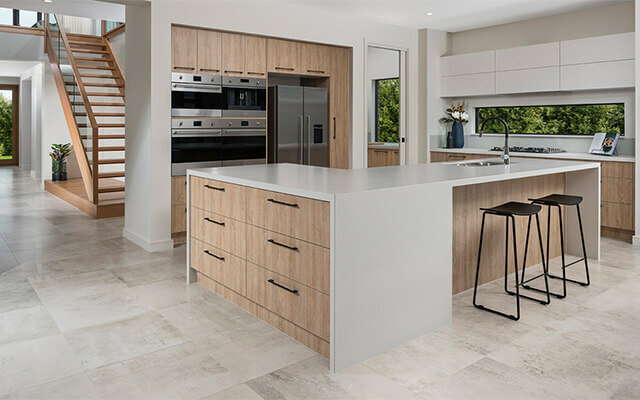 A large kitchen with butler’s pantry features a L-shaped island bench with a Caesarstone reconstituted-stone benchtop in a stunning honed finish. Drawers on either side of the bench maximise the storage options available to the homeowner. 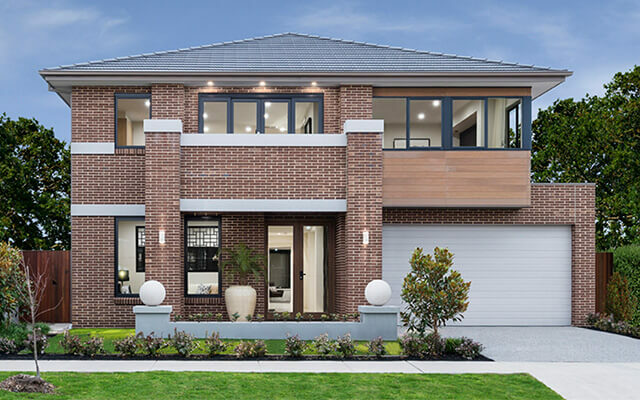 At an impressive 50 squares, the Balmoral 503 Park at Clyde North is the largest design from Dennis Family Homes. It is suitable for construction on blocks from 14 metres wide and is available in four facades. Open for viewing daily from 11am to 5pm, the display is located on Littleshore Crescent at Berwick Waters estate in Clyde North. For further information, visit www.dennisfamily.com.au or phone 1800dennis.